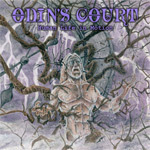 With a name like Odin's Court one might expect some form of Scandinavian metal, norse, black, viking or otherwise. But you would be way off the mark. Hailing from Maryland (US), just a state south, Odin's Court offers diverse melodic progressive rock. Human Life in Motion is their fourth full length work. Though the album has a shaky start with the quirky, nearly inaccessible, arrangement of Affect Us, the rest of Human Life in Motion offers a rich variety of progressive rock that blurs with metal. The Echo of Chaos, Can't Forgive Me, and The Wrong Turn at the Right Time are selections that bring a heavier tone tempered by interesting bass lines, varied tempos, strong melodic vocal arrangements, and layers of guitar solos. Akin to this is Silent Revolution which begins with a quiet moment only to move to a richer heavier theme, and carries it to the end. Conversely, Blacktop Southbound and Red Blow Dreaming present a softer side, yet with some edge. Both allow for a rich texture of vocals with acoustic guitar and bright piano. Both can be up tempo and strong, but without being heavy handed. The closing track Leaving Chicago certainly enlarges this motif as the acoustic guitar and vocals over synths occupy nearly two-thirds of the song, before the tempo increases and the song finishes with an epic guitar solo. Honestly, there's much to explore and enjoy on Human Life in Motion, thanks to the imagination of the musicians in their compositions; several listens are required to plumb the depths of this work. Yet, I was not persuaded by the aforementioned opening track or the later Feathered We Fly. But, they are still interesting songs with their own strong points. As a whole, Human Life in Motion is creative and entertaining progressive rock. Recommended. Human Life in Motion from Odin's Court finds the band in top form, offering imaginative and entertaining melodic progressive rock sometimes blended with metal.